The backpack – each of which pulls 2.2kg of plastic out of the ocean, according to the firm – has smashed its target on crowdfunding website Kickstarter. 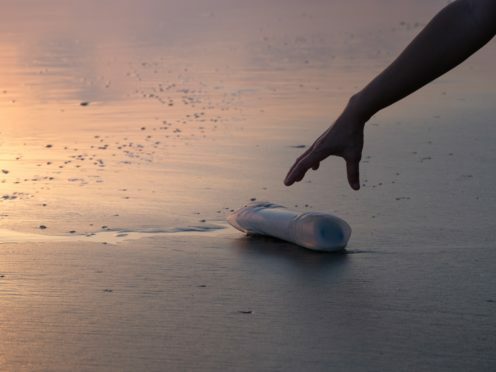 Solgaard Design is working with partners in the Maldives and the Philippines to collect plastic from beaches and within 10km of the coastline, and that waste is then converted into yarn. The company said: “We believe that being a global citizen is about being a good steward to the Earth while enjoying everything that it has to offer. Our goal is to undo the damage humans have caused to the planet, beginning with ocean plastics. “Ocean-bound plastics threaten the oceans from thriving: so we’re taking the plastic out and up-cycling it. Solgaard Design has surpassed its fundraising target with one month until its deadline. The company has raised more than 45,000 dollars (£35,000) of its original 25,000 dollar (£19,500) goal. The company is selling its daypack for early backers on Kickstarter for 64 dollars (£50) each. The product is estimated to be delivered by May 2019.